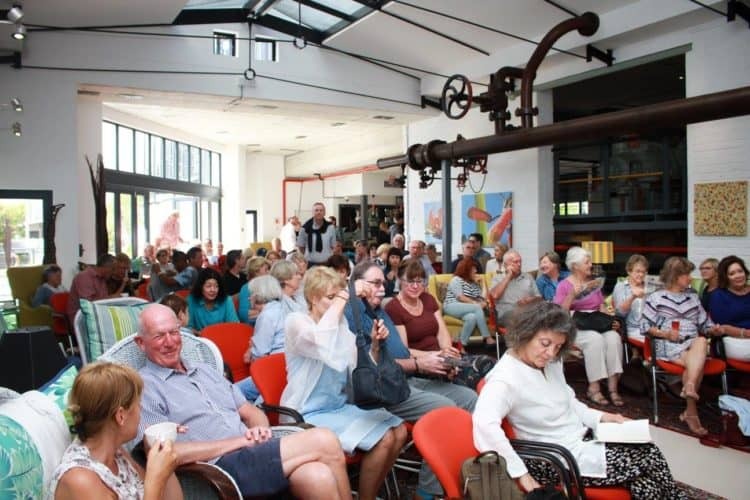 This year’s Knysna Literary Festival is to be hosted at selected venues around Thesen Islands. 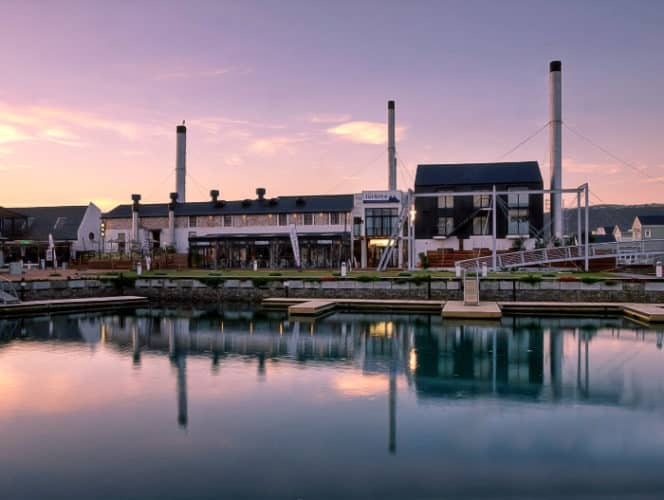 The man-made islands are located in the heart of Knysna and provide a lovely, scenic backdrop to indulge in all things literary over the weekend. This year’s topics and books are guaranteed to inspire lively debate both at the festival, as well as long after. The 2019 Festival has a diverse programme, with discussions on hot-topic current affairs and politics, history, adventure, conservation, cuisine and storytelling. There really is something for everyone. 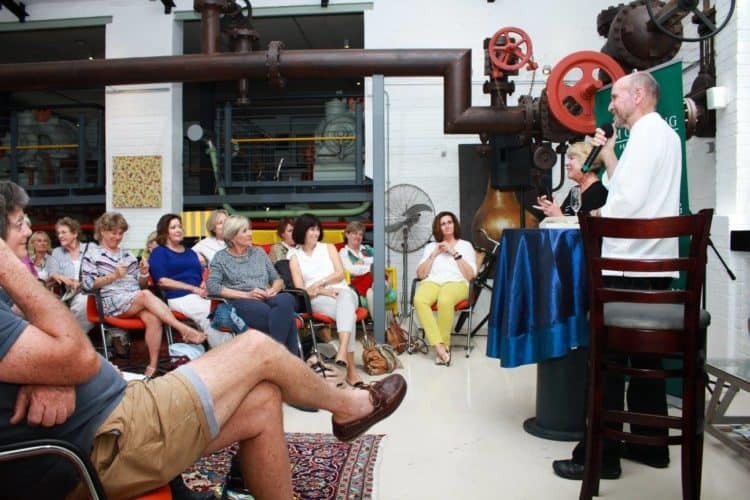 All authors are either local or have close ties to South Africa, and have been selected not only for their literary talents, but also for their skills in entertaining and delighting audiences with readings, conversations, debates and workshops. Over the years, the Knysna Literary Festival has attracted well-known literary celebrities and this year is no exception. The festival is the ‘must’ for any literary enthusiasts, book worms and culture vultures in the region. Not only is the #KnysnaLitFest high on the agenda for readers, but authors and journalists likewise aspire to be a part of this prestigious festival, setting the bar higher each year with the programme on offer. Be sure not to miss events from 10h00 on Saturday 9 March at Turbine Hotel & Spa. 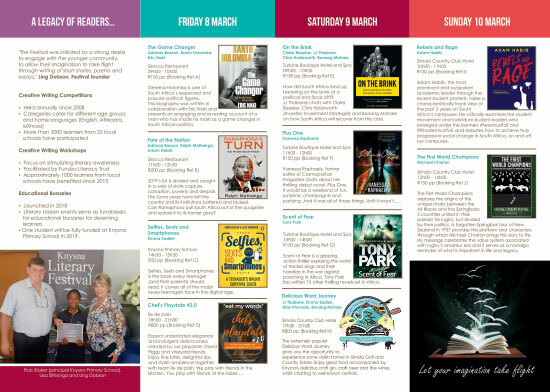 The Knysna Literary Festival is undoubtedly a highlight on the 2019 calendar. If you’d like to attend, you can book on Quicket or contact Pam Golding Properties at 044 382 557 or info@knysnaliteraryfestival.co.za for ticket sales. 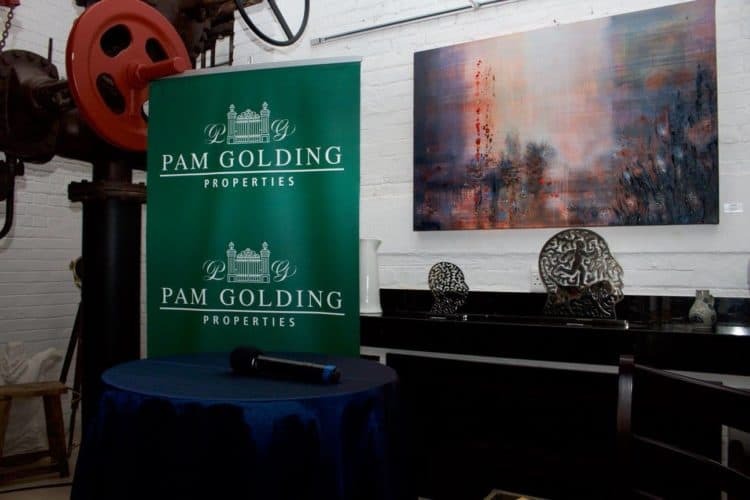 Bookings are also open at Pam Golding Properties Gray Street Office, Knysna.